While most people know that an orthodontist straightens your teeth, many are less clear about what an orthodontic assistant does. During your first visit to Langley Orthodontics, the orthodontic assistant will be one of the first people you’ll meet. At the first appointment, the orthodontic assistant meets with new patients, takes dental photographs and x-rays, and also takes impressions of the teeth, all to prepare for treatment. Other parts of an orthodontic assistant's job include performing braces adjustments, and conducting preliminary examinations at your check up appointments. Is an orthodontic assistant the same as a dental assistant? While they perform some similar tasks, there are a few differences between dental assistants and orthodontic assistants. The main difference is that a dental assistant mostly works with the dentist, helping during procedures by doing things like passing instruments and generally making the process more efficient, an orthodontic assistant tends to work more independently from the orthodontist. Orthodontic assistants typically work in their own offices, or in the lab creating molds from teeth impressions. 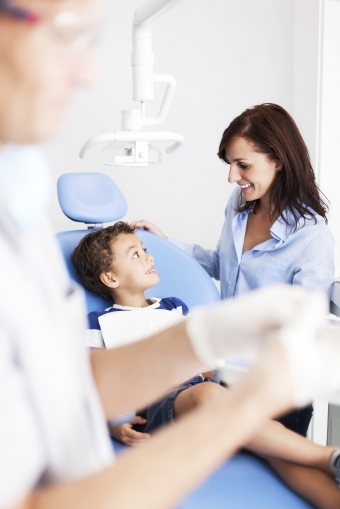 Orthodontic assistants also assist the orthodontist, however! They clean and polish the teeth before the braces are applied, attach the wires, and give the patient specific instructions on how to brush and floss while wearing braces. Please contact Langley Orthodontics today to book an preliminary consultation with one of our orthodontists and orthodontic assistants, and get on the path to your straight, beautiful new smile!